Bridget White-Kumar was born and brought up in Kolar Gold Fields, a small mining town in the erstwhile Mysore State which was famous for its Colonial ambiance. 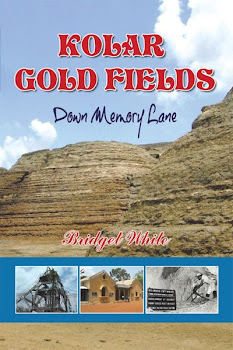 This book is a small attempt on her part to record for posterity, the history and way of life of the old Kolar Gold Fields. 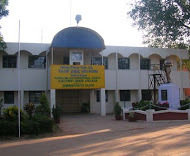 “Kolar Gold Fields – Down Memory Lane - Paeans to lost glory”, undertakes a nostalgic journey of almost 150 years, right from the days of the origins of the Kolar Gold Mines, its historical and mythological connections, the growth of the mines under the British Company of John Taylor and Sons till the ultimate closure of the once prosperous Kolar Gold Mining Company in 2003. Thus ending a golden chapter in History, which now lies buried in the annals of time. It then moves on to give the reader a brief insight into the lives of the Anglo-Indian Community in the early days of KGF and finally focuses on the author’s own childhood memories of growing up as a young Anglo-Indian child in KGF in the 1950s and 60s. 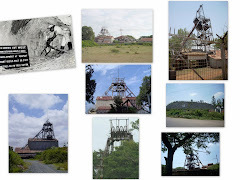 The book succeeds in capturing and preserving for posterity the nuances and ethos of a bygone era in that once glorious vibrant place called Kolar Gold Fields, and at the same time keeps it alive in the hearts of its erstwhile inhabitants, which still beats for it.